This shirt is green with very thin grey stripes. It has one flapless breast pocket on the left. It’s a button up. In Sin City (3x04), Sam wears it after Ritchie is killed He keeps it on until the demons are dead, and then changes out of it before his final talk with Ruby. In Time Is On My Side (3x15), Sam wears it in the motel room when he tells Dean all about the ancient medicinal use of maggots while Dean is trying to eat. 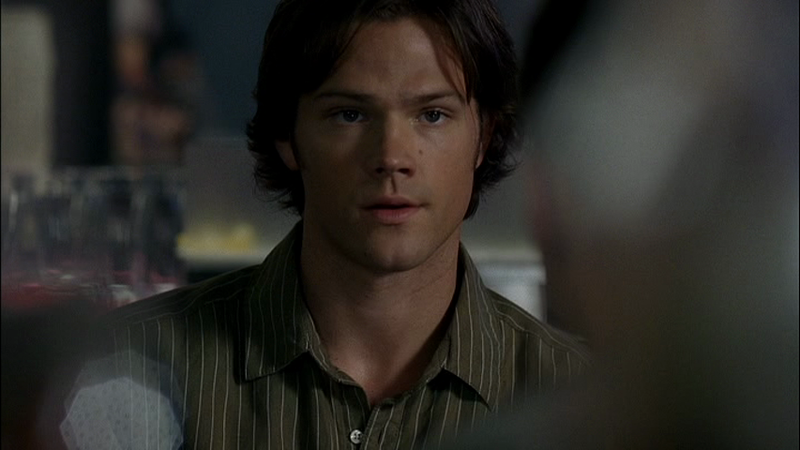 In Yellow Fever (4x06), Sam wears it when he meets up with Bobby at the sawmill to get rid of Luther’s ghost and save Dean. 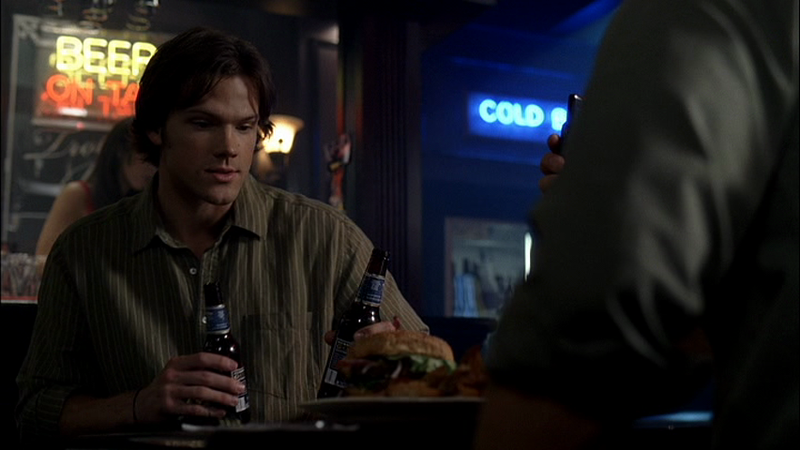 In Death Takes A Holiday (4x15), Sam wears it only briefly at the start of the episode when he tells Dean about the job and then makes him get his burger to go. Oh man! I did NOT notice that. This makes a few charts inaccurate. Sigh.